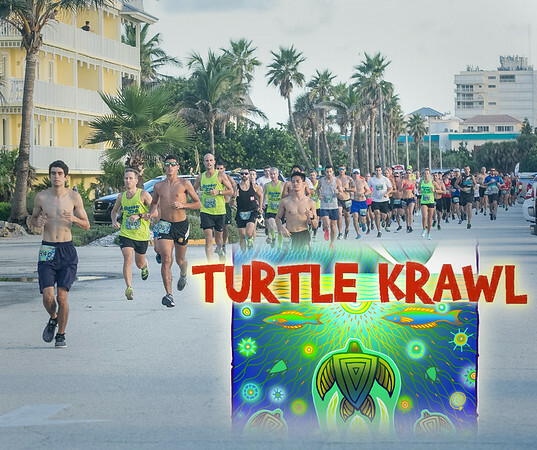 The Turtle Krawl 5K was held at Nance Park in Indialantic on Sept. 8, 2018. The links at the right will help you navigate through the 4000+ photos. Remember, the finish clock shows the total time which will probably be slower than your chip time. Thanks to Melissa Jones for operating camera 2 on the course. Prints are offered at a deep discount and all images are free to download. You are welcome to have downloaded images printed at your favorite lab. To download the photo, simply click the "Arrow Down" icon at the lower right of the photo. Note: this is not the same as right clicking the "save image" option on your browser. This is compliments of Mark Patrillo and the Race Committee. Thank them by supporting the Sea Turtle Preservation Society .